Que Durkan, from Graskop, appeared in a previous edition of GPS News whereby he shared a vision to present a gift to the Ripon Cathedral in Yorkshire, England. The gift was aimed to highlight his appreciation for a famous Carol Lewis folktale, Alice in Wonderland. 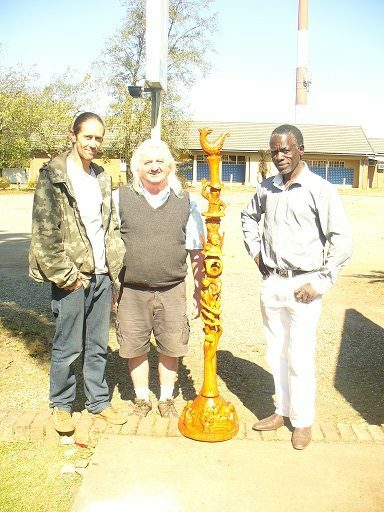 Durkan sourced the assistance of a capable and experienced local artist, Rainos Tawonameso, who specialises in carving walking sticks. Tawonameso started working on the stick immediately; it was in September last year. He was able to elegantly carve the entire folk tale on one stick, depicting some of the memorable characters. “I went to Ripon before the stick was started, it was at Christmas. I’ll present it at the Alice in Wonderland celebrations to be held in Ripon. It’s the first time that the celebrations are held and it’ll be one of the presents of the day. It looks wonderful, marvellous and I’m very confident that the people will receive it well. The Mad Hatters tea party is carved on the stand. People will present different ideas that they have for the celebrations. The celebrations will be held on the 4th of August, it’s also St Wilfred’s Day. This is the year of Lewis Carol and his work is being celebrated in England. I’ll be travelling to Yorkshire this week,” said Que Durkan. Tawonameso expressed joy in finally succeeding to bring Durkan’s dream to life. He was also appreciative of the opportunity to create such a magnificent work of art. He has presented his famous sticks to people such as Queen Elizabeth ll, The Pope, Nelson Mandela at the Robben Island, Olusegun Obasanjo (former Nigerian president), Robert Mugabe (former Zimbabwe president), Ketumile Masire (former Botswana leader), Levy Mwanawasa (late former Zambian president) and many other famous people. “I enjoy making this for giants. I feel very proud; it shows me that the ability I was given by God is working. Anything that’s presented to high people is wonderful. I’m very happy about the results, said Tawonameso. David Gillilan (owner of Little Shop of Horrors in Graskop) added a technological touch to the creative process of the stick with his 3D conceptualisation ability. His core business is body art and overall graphics designing. “It was a team effort; we built according to the manuscript of Alice in Wonderland by Lewis Carol. We’ll hopefully get exposure from the celebrations and this is good for the future. It’s a true work of art by true partners. Tawonameso captured the characters very well. We hope that the story of Alice in Wonderland will be celebrated in different cultures,” said Gillilan. Die Grondslagfase van Laerskool Sabie het onlangs ŉ entrepreneursdag gehou. ŉ Groot verskeidenheid van stalletjies het seker gemaak dat diegene wat geld in die sak het, dit sal spandeer. 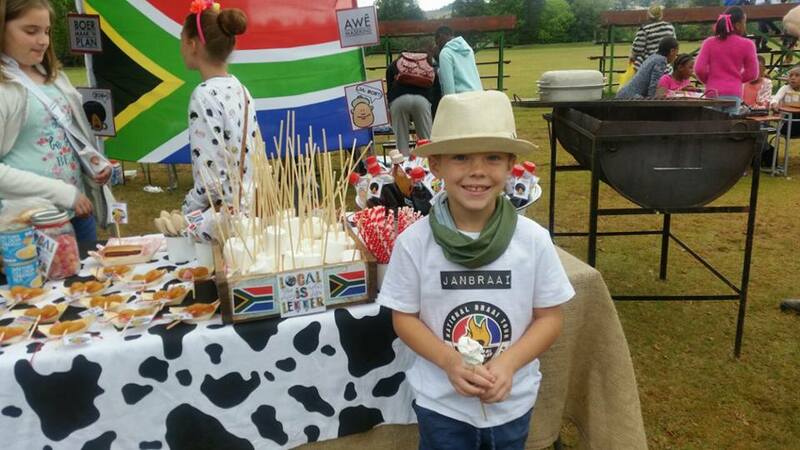 Erfenisdag is op ŉ vrolike noot gevier by Laerskool Sabie. Tradisionele drag in vele skakerings het die skooldag opgehelder.